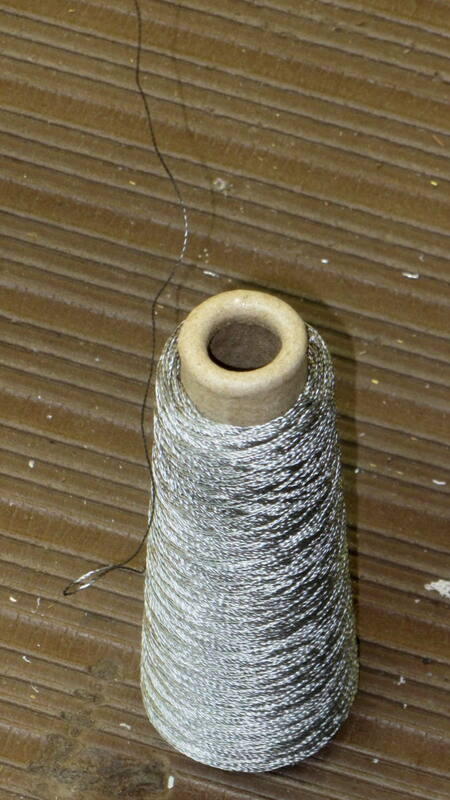 It still accumulated a huge twist between the two spools, even while guiding it hand-over-hand onto the rotating spool. 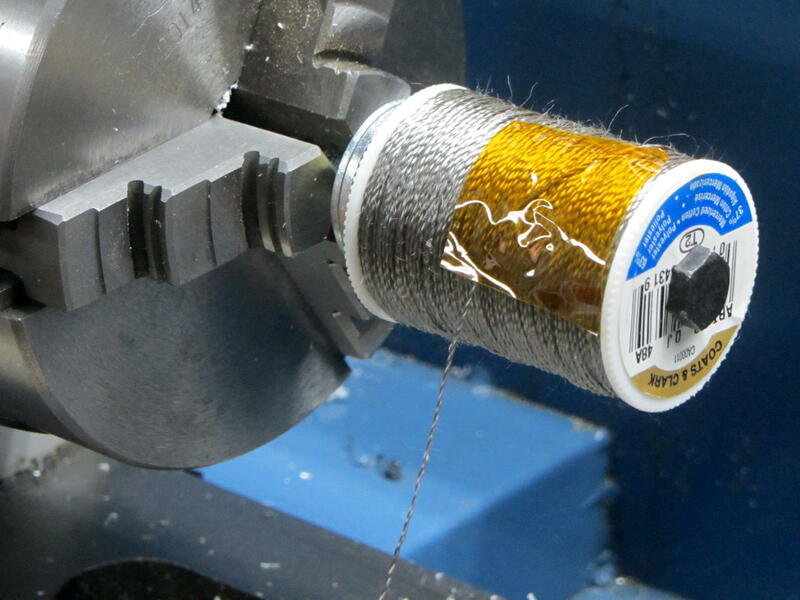 Either the factory lays the thread on the large spool with a built-in twist or, more likely, a multi-strand steel thread behaves like a spring, no matter what anybody wants, and comes off the spool with a nasty case of inherent vice. Memo to Self: don’t let stainless steel thread slide through your hands under power, because some of the fuzz visible in the top picture will stay with you.